My dear friend Suzi recently went to Turkey. I desperately wanted to hear what God had taught her there, so I suggested we fellowship over a delicious lunch at Romeo's. We had a lovely time outside in the perfect weather. Our waitress was fabulous. We tried to get her to sit down with us many times, but she wouldn't. I love Suzi and it was a joy to hear how God spoke to her in Turkey. She shared her experience with her church upon returning home. Thankfully she also shared with me. God is at work in Turkey and God is at work in Suzi. Hallelujah. 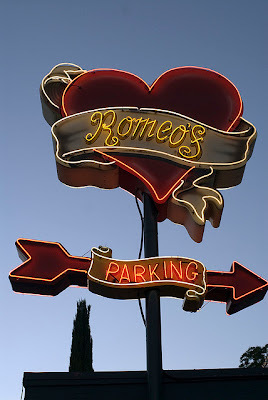 Every year Romeo's gets voted the the best calamari in Austin so we started there. Delicious. We both had the Ahi Tuna burger. Debating on what to get, I saw it comes with dolce slaw. Suzi asked what that was and I said, "I don't know, but dolce sounds fabulous." Fabulous it was. Italian cream cake was shared. Laughter flooded the portico. The grace of friendship is a rare gift. My friend Suzi does triathlons and little things like writing novels. Her husband is an award winning inventor. His Hyper Vest was featured in Men's Health as product of the year. Fancy that.